In September 2014 the European Court of Justice ruled against Spain in a case which declared that the Spanish Inheritance Tax System is discriminatory to non-residents and contrary to European Law. This has lead to a change in the law and thousands of non-residents being entitled to a refund of the Spanish Inheritance they have paid. Already paid Spanish Inheritance Tax? To find out if you could be entitled to a refund and how to claim, click on the “Download free guide” button to the right of this page. The changes to Spanish Inheritance Tax laws as a result of this EU ruling came into effect in January 2015 to make the tax system fairer for non-residents. Non-residents of Spain who paid Spanish Inheritance Tax before then however could now be entitled to receive a refund. Previously Spanish law applied different rates of taxation to inheritances or gifts of property in Spain depending on whether or not the person receiving the inheritance or gift was Spanish. Non-Spanish beneficiaries were charged at a higher rate than beneficiaries who are Spanish nationals. The reason for this is that in Spain, the inheritance tax rules that were applied before this ruling were regional when both the deceased and the beneficiaries were resident in Spain. If either the deceased or the beneficiary was not a Spanish resident however then the national inheritance tax rules were applied. There is a considerable difference between the national inheritance tax rules and the regional ones. The regional rules being much more generous in terms of the allowance available. For example under the regional rules there was virtually no inheritance tax payable between spouses or parents and children in the Madrid, Valencia, Murcia and the Balearics regions. In Andalucia a gift of up to €175,000 could be made to a spouse, child or parent tax free. These regional allowances were only applied where the deceased and beneficiaries were Spanish residents. If they are not, the state rules applied. The allowances under state rules were tiny by comparison as they only allowed a deduction of around €16,000 from the gift for tax purposes for the spouse, children and parents of the deceased. This therefore resulted in non-resident beneficiaries paying thousands of Euros more tax than they would if they were Spanish residents. In the September ruling the court declared that this Spanish legislation was discriminatory in breach of European Law as there was no legitimate reason why inheritance tax should be charged at a different rate for non-Spaniards and Spaniards. This has resulted in the opportunity for those who have been charged this discriminatory Spanish Inheritance Tax within the last 4 years to be able to claim back their Spanish Inheritance Tax through the Spanish tax office. If you believe you may able to make a claim for overpaid inheritance tax in Spain, please contact Worldwide Lawyers who can put you in touch with a lawyer to help you. 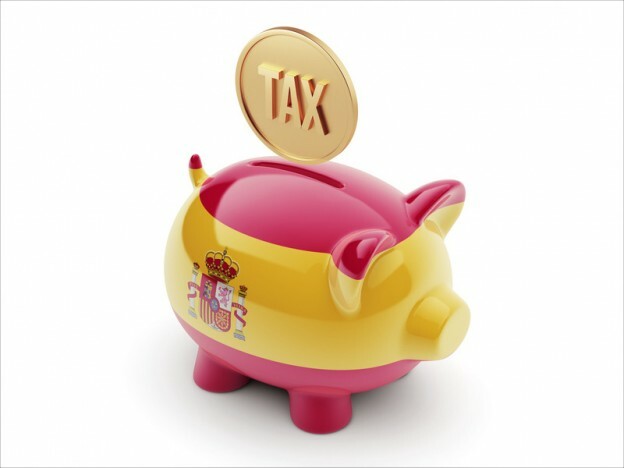 Have you already paid Spanish Inheritance Tax? You may be eligible for a refund! To find out if you would be eligible for a rebate and how to claim click here to Download our FREE complete guide to claiming back Spanish Inheritance or contact us on 01244 470339 for your free no-obligation consultation. Contact Worldwide Lawyers on 01244 470339 or at info@worldwidelawyers.co.uk and start your claim today!